Superb for a getaway weekend for a solo retreat or plenty of room for two, children are welcome. Nestled by a native reserve in Nikau Valley. A quiet and peaceful spot, away from the hustle and bustle. Yet only 6 mins to Kapiti and the train station. 45 mins to Wellington central by vehicle. Or 55 mins by train. We have created an independent space, with loads of light and warmth. Quality linens, bedding and furniture have been used in the furnishing of this property, to lush up and enhance your comfort. Purpose created, we have built a very spacious loft like space above the garage, well insulated from our sounds and for warmth. We have locked this space off from our home, allowing guests their own privacy. However, we are usually here if you wish to ask for assistance with anything. You have your own independent bathroom and toilet. There is a fridge and microwave, toaster and kettle. As you are on a break away, we take the dishes and wash them for you daily. Whilst we do have very friendly pets, the guest area is kept pet free. Tea and great coffee available in the guest area. Being away from the main town centers, we live peacefully, but are without public transport outside our door. We have fabulous walks in the region. There is a great "ridge" walk accessed right from where we live with fabulous views over the region. Kapiti island reserve is offshore. We are set central of many Coastal Beaches, which are 8-15 mins drive. 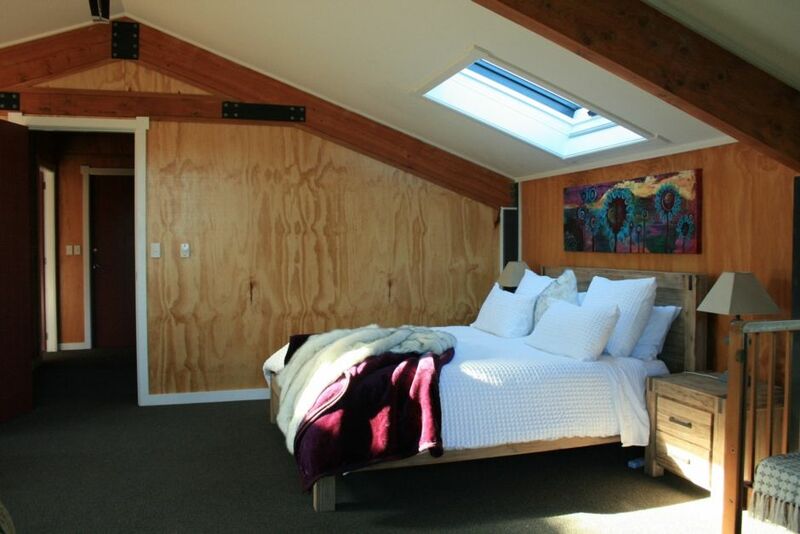 There are a few charming places to shop,(particularly Raumati Beach shops and bakery), there is coffee, wining and dining all within a short drive. Saturday mornings there is a local market held at Paraparaumu Beach. I am happy to share any local and greater Wellington knowledge upon request. We do ask that shoes are removed whilst inside, to keep carpets fresh and clean for everyone. Dishes are collected for washing daily and on request. We do ask guests to consider the environment and our rural water supply and treatment and to use the heated towel rail and re use the towels. These are replenished after 3 days or on special request. Breakfast is optional, continental and home baking available on request at extra cost.